We are a leading Manufacturer of acl pcl instrument set, n-knot button with loop, suture anchor, interference screw and n-knot button from Ahmedabad, India. The most comprehensive sets available to help overcome the challenges intraoperatively of ACL and PCL reconstruction.Unique design and precision manufacturing of NRV Ortho instruments facilitate reproducible techniques that help surgeons carry out anatomic, less invasive and biomechanically sound ACL/PCL reconstructions.The ACL PCL Instrument Set are extremely comprehensive systems and contain everything needed for ACL or PCL reconstruction. N-Knot Button with Loop increasing demands of our customers, we are engaged in offering a wide range of Siwik Button all over the country. Our range of this Siwik Button is manufactured by using good quality material that we procured from selected vendors of the market for maintaining its excellent quality. In addition to this, we are offering our range of this Siwik button at reasonable rates. According to the emerging needs and demands of our clients, we are engaged in offering a quality range of Suture Anchor all over the country. 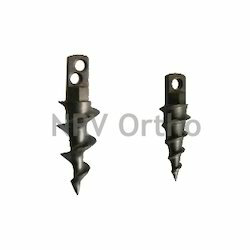 The Suture Anchor we offer is considered as one of the best in quality. Moreover, it is basically procured using proper method of production. It is available in the market in various sizes. 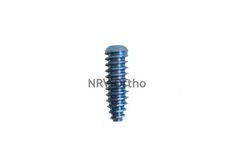 Known as a renowned organization, we are engaged in offering a wide range of Interference Screw to meet the needs of our clients. This is available in different specifications depending upon the sizes. 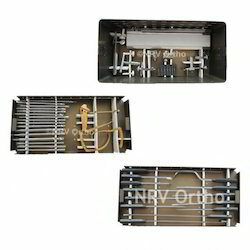 Popular and demanded all over the country as well as abroad, this Interference Screw is offered at most affordable rates.